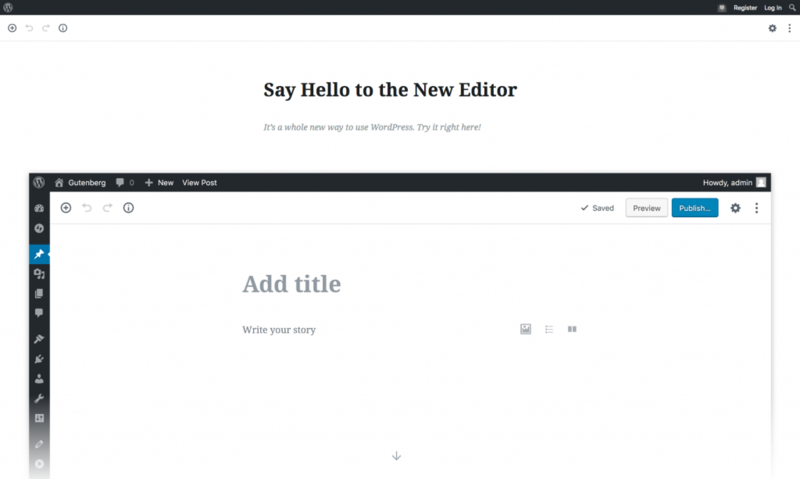 WordPress 5.0 will be shipping with a new editor experience called Gutenberg, which is a dramatic change from the classic editor. Here’s a quote from the Gutenberg website. 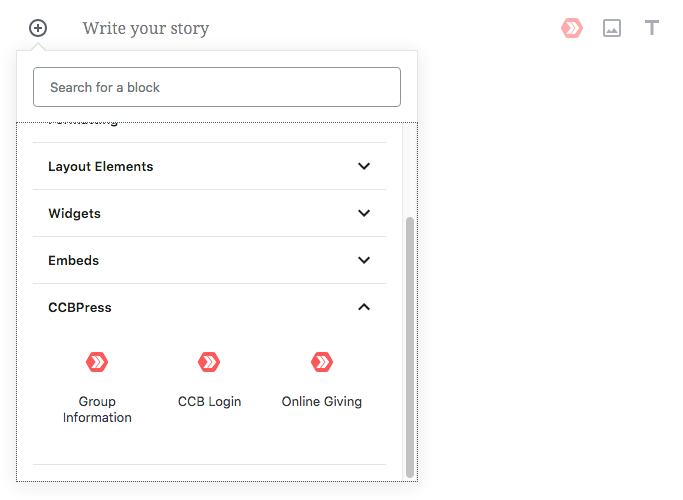 Our goal with CCBPress is to make it as easy as possible for churches to display content from Church Community Builder on their WordPress websites. Because of this goal, we are dedicated to creating many different blocks that will give you the control to display your data that you want, where you want. Although these currently exist as Widgets, the block versions will have a few more features than their widget counterparts. Obviously, we had to start our Gutenberg support with CCBPress Core. From there, we will add block support to the Events and Groups add-ons.